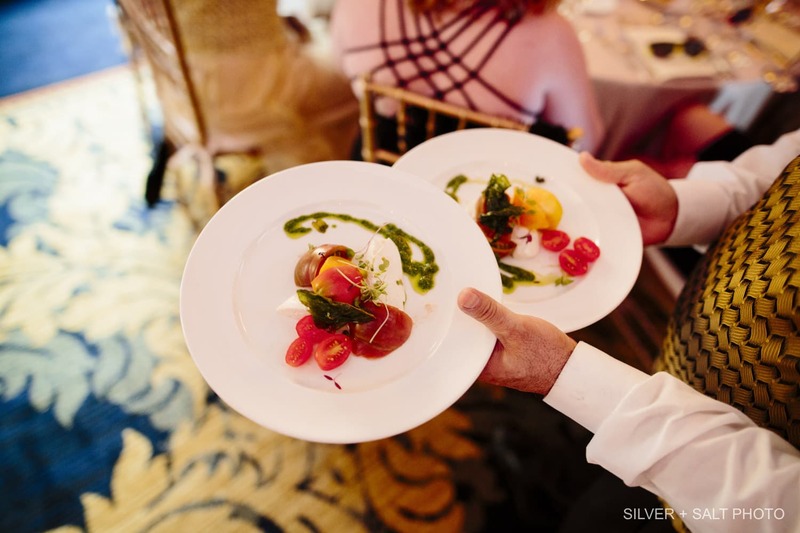 My name is Alison, Director of Catering at The Lenox, and I’m writing this post in the hopes of simplifying and clarifying the wedding planning process our couples go through. To try to add context, this will be written through the timeline of one of our couples, Natasha & Philip. Natasha and Philip are the type of people you like right away. 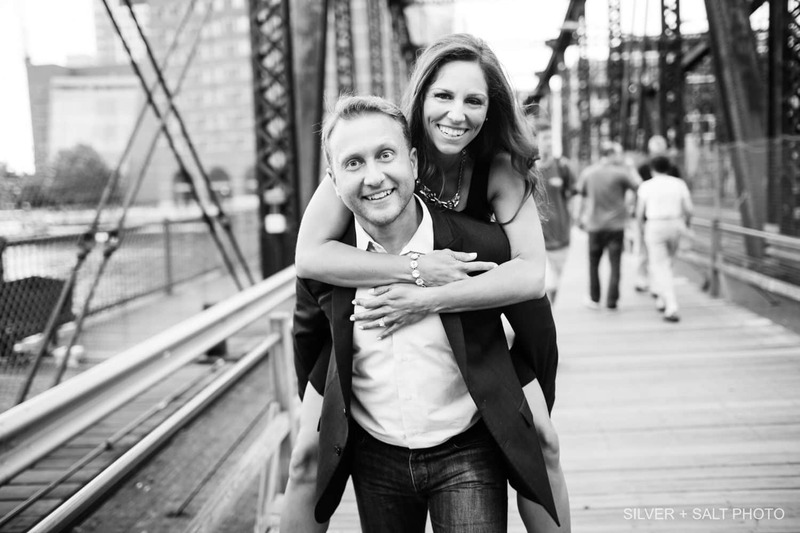 They are fun, bubbly and just really really nice so, it’s no surprise that I selected their wedding for this Blog Post. Natasha and I worked on this together so she will chime in at certain points! Their ‘how we met story’ is pretty cute, mostly because it took Philip a while to make a move. They met working together at EF Tours, their first job out of college. They started in the same group on December 7, 2008 but didn’t start dating until October 2009. I told you it took him a while. Natasha recalls, “I thought he was super cute, but it took him a bit to get over my platinum blonde hair at the time”. 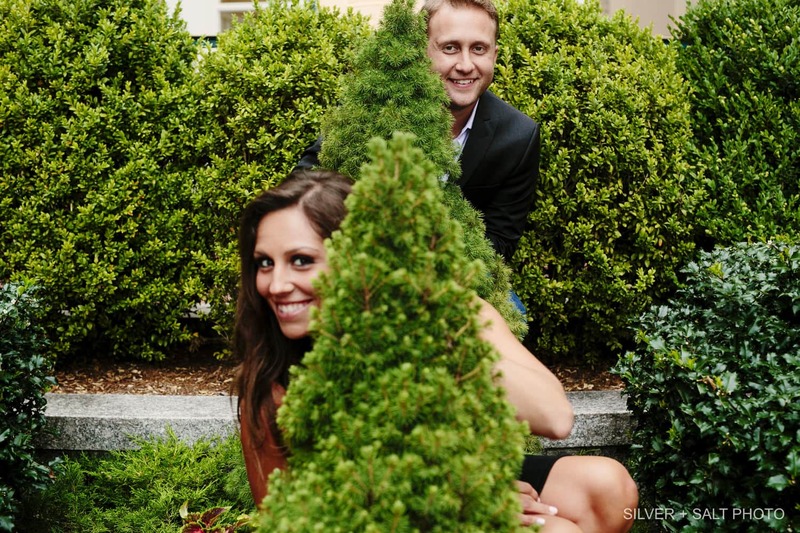 Don’t they just look fun – engagement photos below! 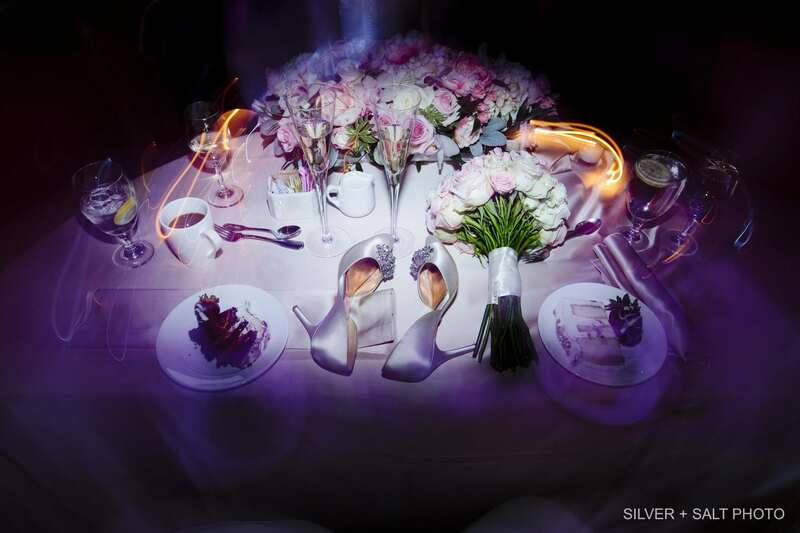 Now that you have some background about the couple, let’s start from the beginning of the wedding planning process. While writing this we feel that we are leaving out a lot of fun and important pieces but we really want to get to the big weekend and don’t want to bore you with the details of our countless phone calls where we would end up gabbing about non-wedding related things! So just keep in mind there were lots of emails, phone calls, and visits and that Natasha was an absolute delight throughout. I feel as though I am leaving Philip out – sorry Phil, but you were more concerned about the frames for the table numbers! Tasha would often refer to Philip as a “groomzilla” but I never caught that side of him. Okay, let’s flash forward to June 5, 2015, the day before the wedding! 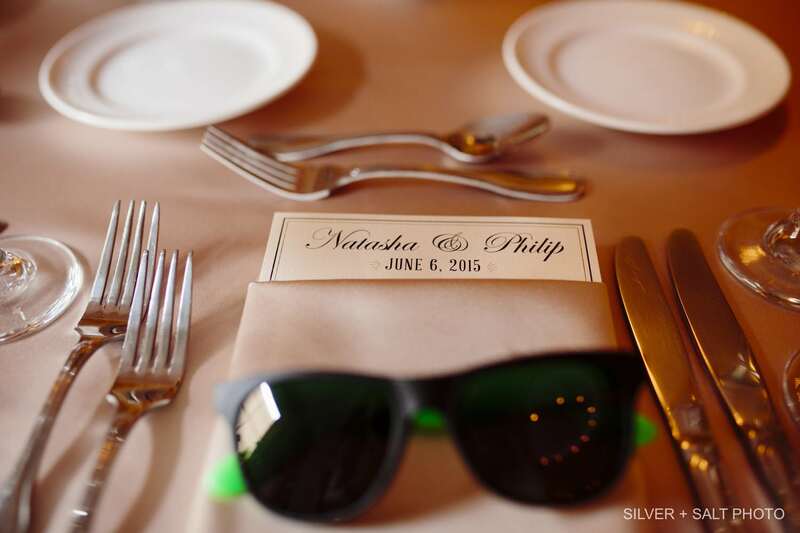 All of the details were finalized and I was eagerly awaiting Natasha and family’s arrival! We had left La Marca Prosecco (her favorite) and other goodies in the Wedding Suite. 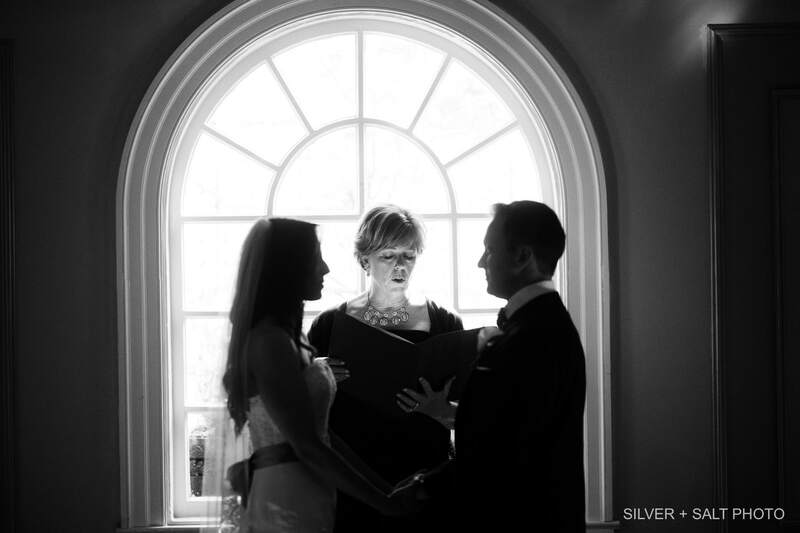 As she recalls, “I arrived to the hotel in the afternoon on the day before my wedding. 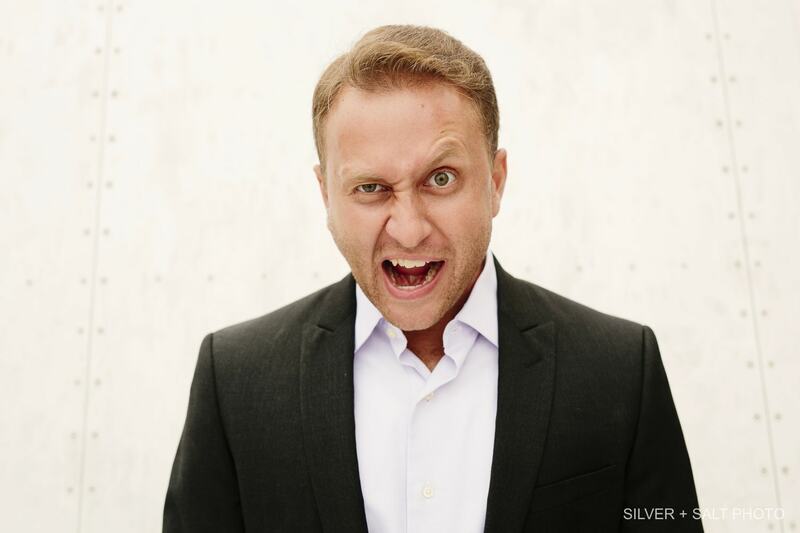 I was nervous with anticipation and all the details but was immediately put at ease by the staff. I was shown to my room, able to be by myself for a moment, and just really relish the magnitude of what the weekend of my wedding represented”. Natasha and I got to chat for a few minutes before she needed to get ready for her Rehearsal dinner at Nebo. I also got to visit with her mother and sister who had some logistical questions and then off they went to the Waterfront! 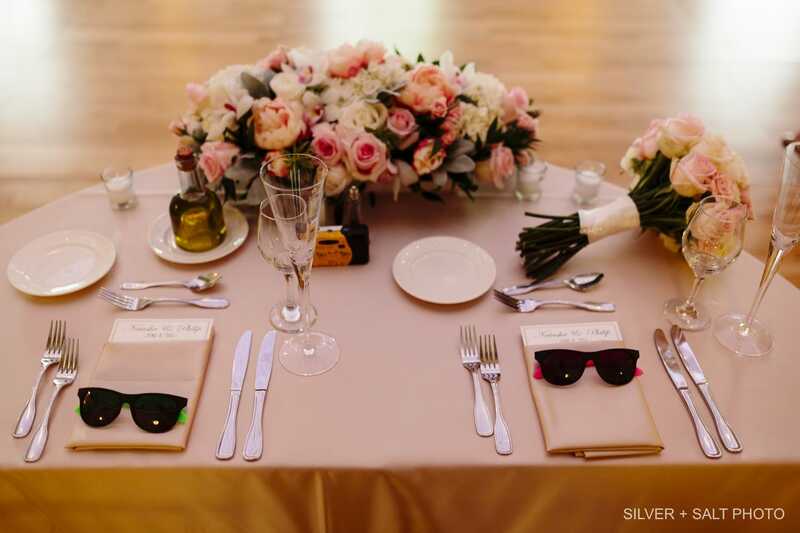 “At the rehearsal dinner, bottles of champagne from the Lenox were waiting at our table for us…such a sweet and thoughtful touch”. What I never told Natasha and Philip was that I had dinner close by that night and walked by Nebo and creepishly looked in to make sure all was going well! Awkwardly, I was caught peeking in by Philip’s Dad, John! He was getting out of a taxi to head inside when he saw me peering in the windows and gave me a big hug and invited me in for pizza. I politely declined as my friend and I didn’t want to intrude but I tell you this so you can get a better picture of what a welcoming family the Carr/Cappadona’s are! And now, we’ve made it to June 6, 2015, wedding day! 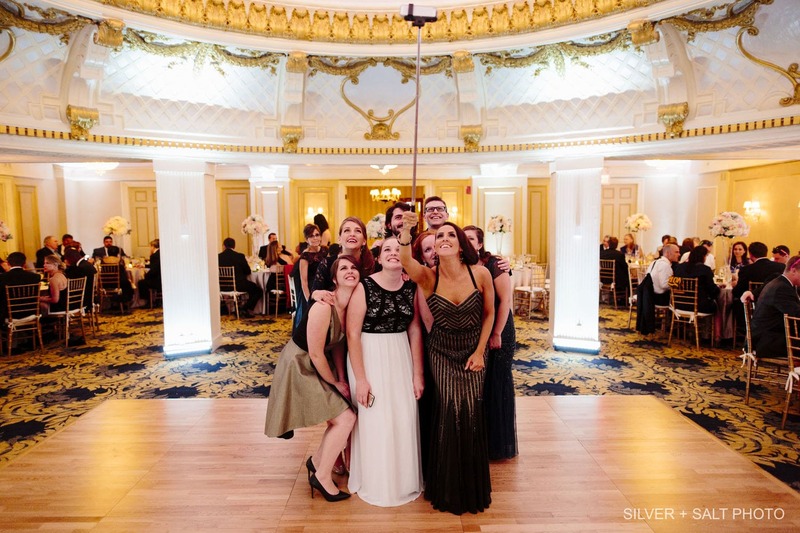 “Even without a bevy of bridesmaids, my wedding day was still busy with lots of moving pieces. The morning was relaxing, though, with breakfast downstairs at City Table with my mom and sister. 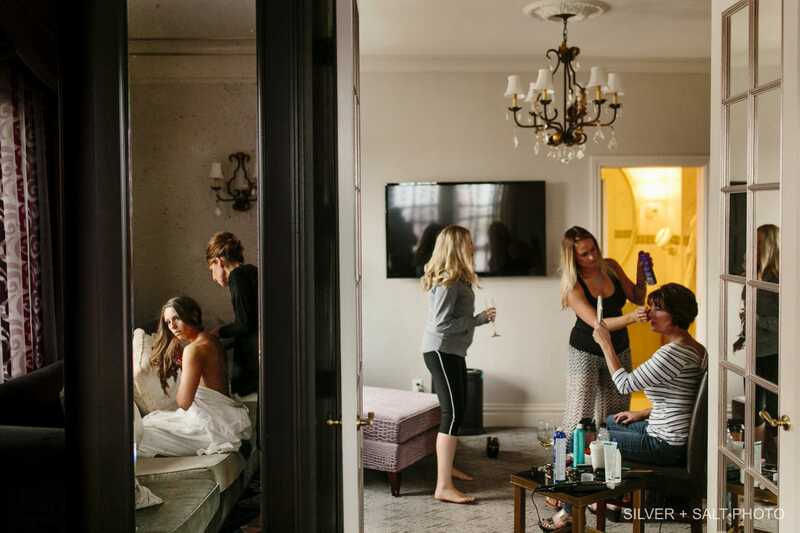 You (Alison) checked in on me right away to see how things were going.” Honestly, when I checked in with them around noon, they were so calm and having a blast getting ready, just look at these photos! After seeing these photos, you now know that Natasha, her sister and her mother are absolutely stunning! Great genes or what?! While getting ready, we learned that her wedding gown had about 30 tiny little buttons that had to be individually clasped. Her mom (Carol), sister (Felicia) and I took turns buttoning her up. Good luck to Philip after the wedding…. 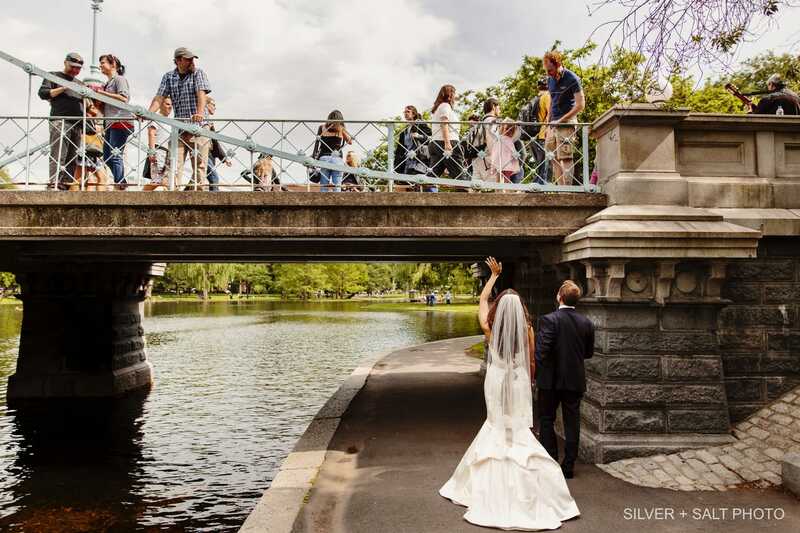 “First look pictures were done in the Boston Commons and a car was arranged to get me over there and then back for family photos. Everything ran like a well-oiled machine!” While Natasha and Philip’s Weddings guests began flowing in for the Ceremony, they were able to hide out in the Boardroom to take some time to themselves before the nuptials. 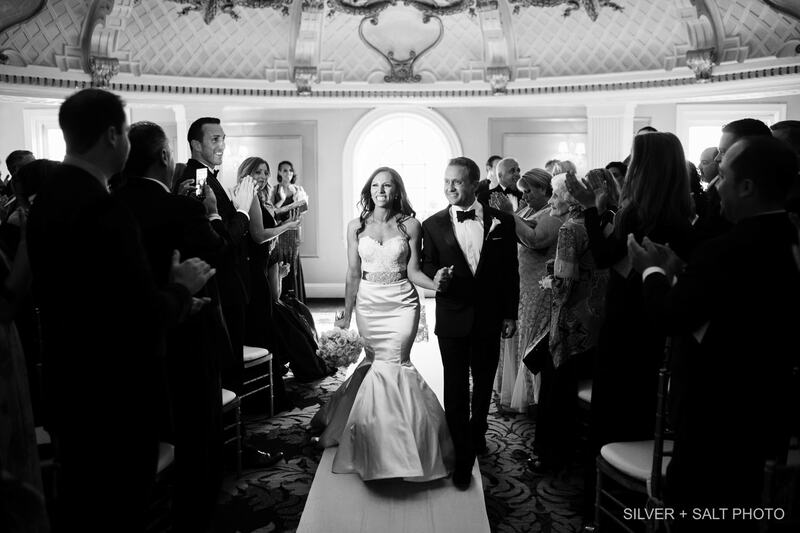 Natasha recalls the moment she walked down the aisle, “The ceremony in the Dome room was breathtaking. I can’t imagine a more perfect setting”. One thing that always bums me out is that I miss the Ceremony because I am usually setting things outside the room for the couple. It sounded beautiful and I know that there were many tears. I had actually put a box of tissues under Carol (Mom) and Sue (her Father’s Girlfriend’s) chairs. 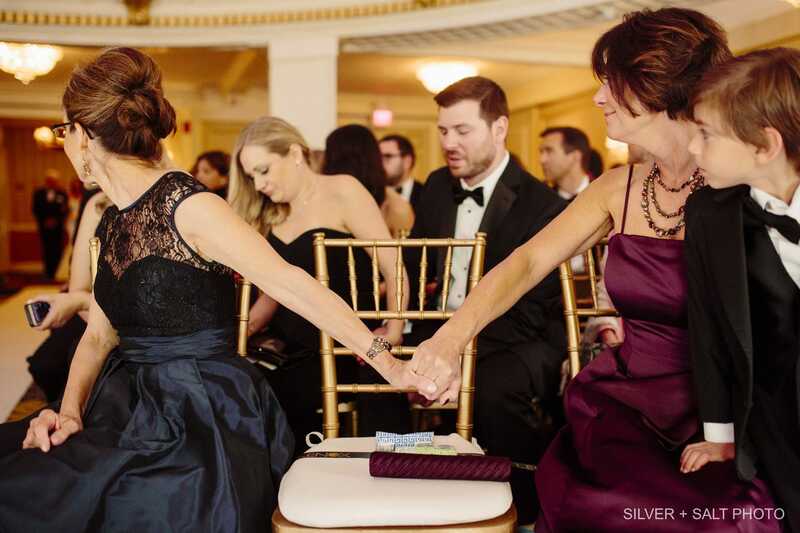 While Tasha and her Father (Wes) walked down the aisle; her Mom and Sue were holding hands- how cool is that? After they said “I Do” their guests moved across the hall for cocktail hour. “Philip and I took about 15-20 minutes apart from the guests in between the ceremony and cocktail hour to enjoy food together just the two of us. 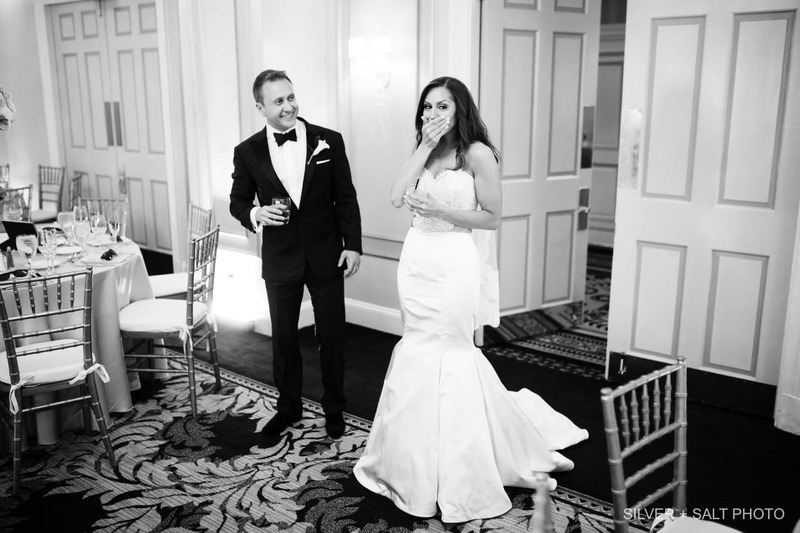 Our favorite cocktails were brought in and it was a really nice moment together that I am so glad we got to have”. The cool thing about doing a First Look is that you get to enjoy these quite moments and attend your cocktail hour and not worry about running off for group photos! 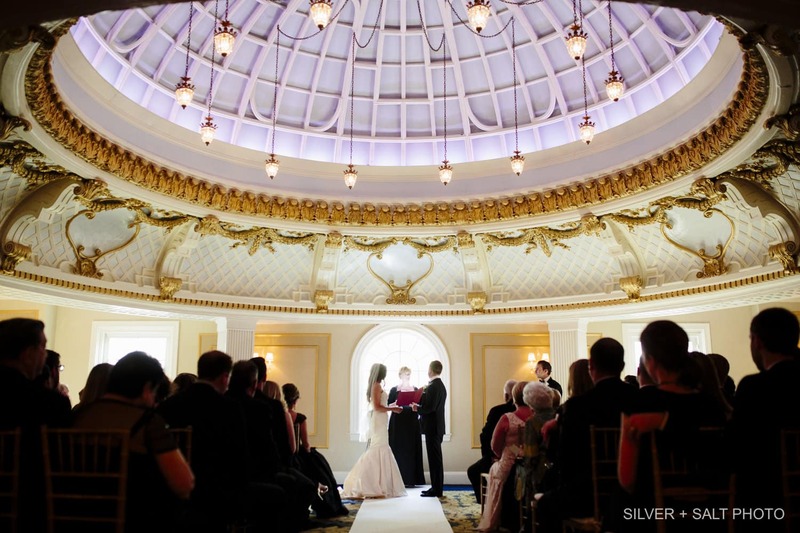 Once the Dome Room was all set up and flipped from Ceremony to Dinner Reception, I asked Natasha and Philip to come see the room! I opened the door for them and Natasha gasped. I was trying to stay out of their photos so I continued holding the door until I heard her yell “where is Alison!?! 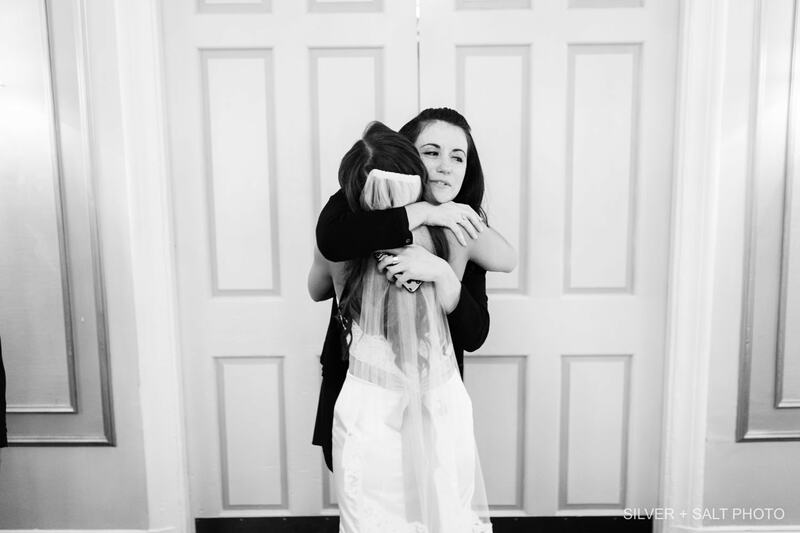 ?” I ran in and she gave me a huge hug and was crying tears of joy. 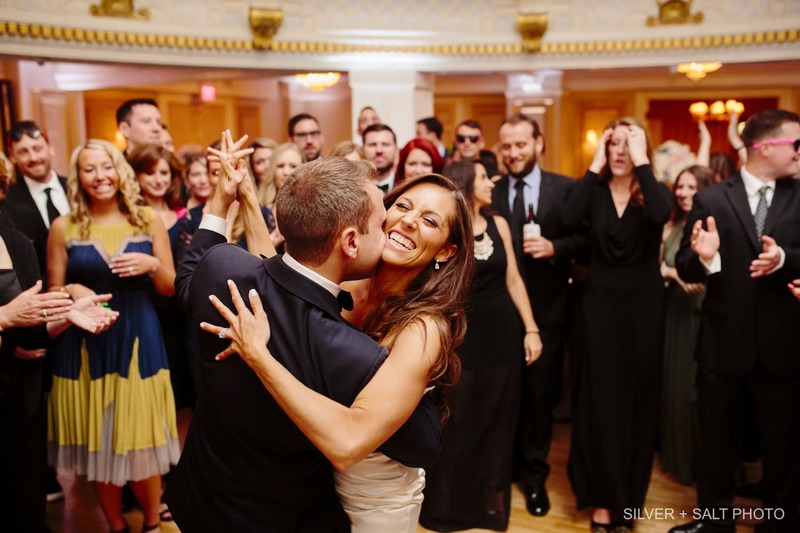 It is honestly one of my favorite moments in working weddings and her amazing photographer, Ben Schaefer (Silver and Salt Photography) caught in on camera! If you are in this industry, your main goal is pleasing people and to see their reaction after all of the hard work that is put into their big day was such a rewarding moment for me. The Newlyweds and their guests enjoyed a heartfelt speech from the Father of the Bride, Wes and then moved into the cake cutting. 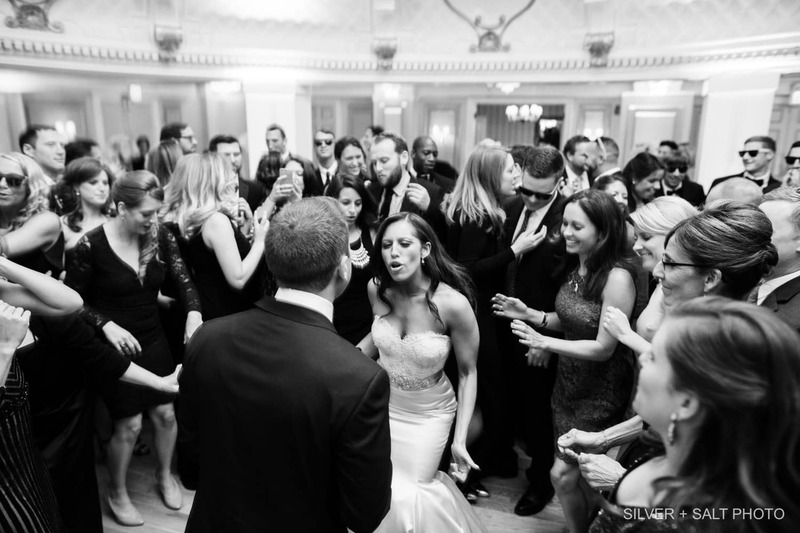 You’d be surprised at how many people ask me, “How do I make my wedding really fun for my guests?” and my response is always that the tone of the evening exudes from the couple. 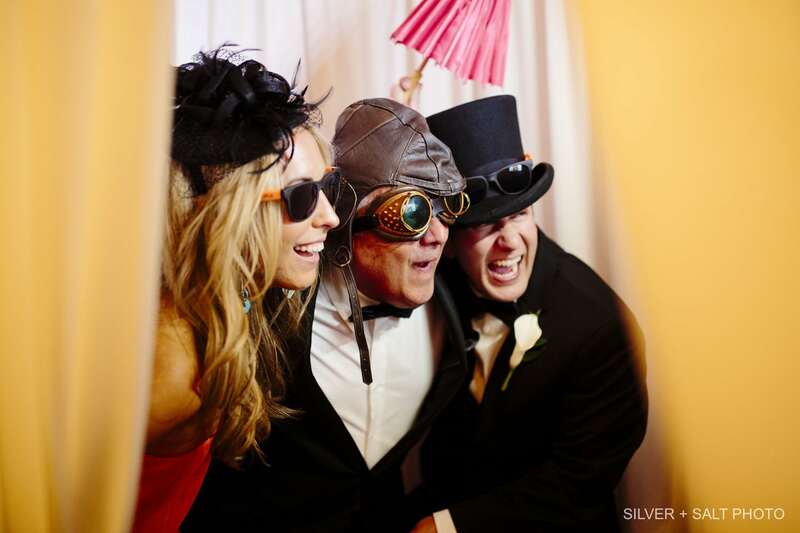 If you are having fun, your guests will have fun. It’s really that simple. Natasha and Philip were a perfect depiction of this concept. 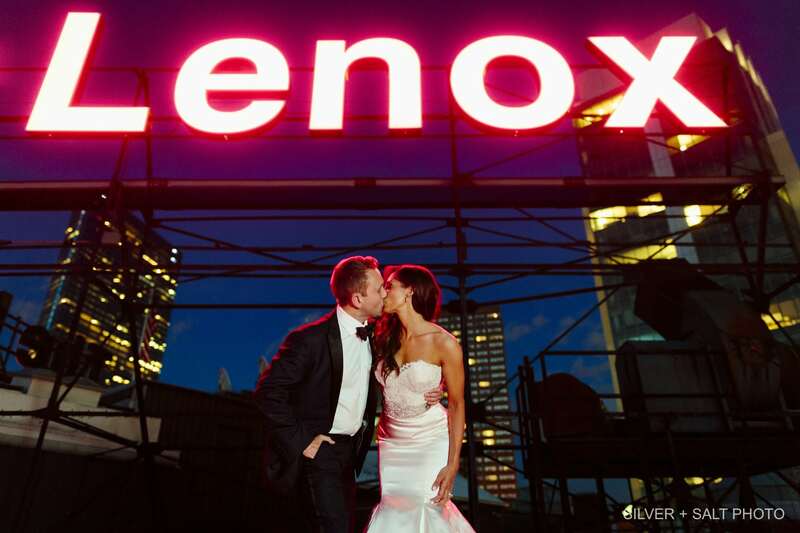 A closing note from Natasha, “The Lenox made the whole experience such a pleasant one for me, my now husband, and our families! 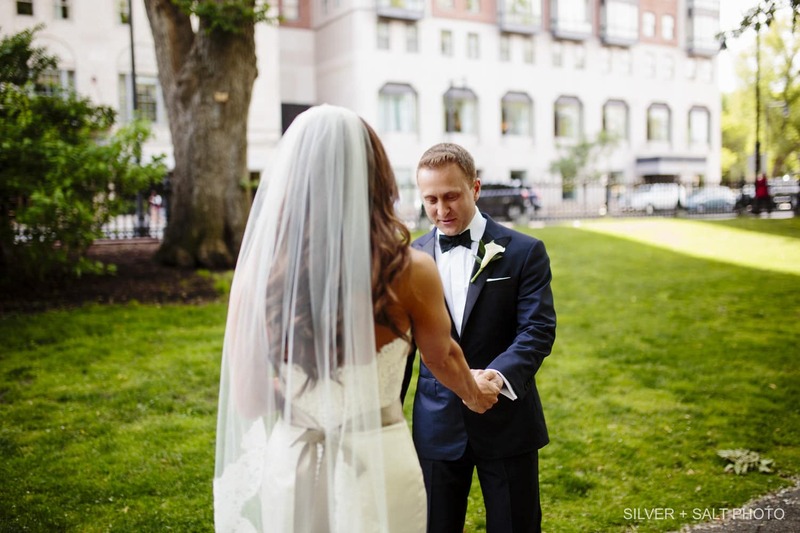 We all can’t wait to come back and visit and see everyone that we now think of as part of our family as well!” Tasha and Philip, thank you for being so fun and gracious throughout the entire wedding process. You are a constant reminder of why I love my job, thank you!